2014-present: Senior Lecturer, Microbiology, NUI Galway, IRELAND. 2009-2014: Vice dean for Internationalisation, College of Science, NUI Galway, IRELAND. 2002-Present: Lecturer, Microbiology, NUI Galway, IRELAND. 2000-2002: University Lecturer, University of Aberdeen, SCOTLAND. 1997-2000: ACT(R) Post Doctoral Fellow, University of Aberdeen, SCOTLAND. 1994-1997: Post Doctoral Researcher, Colworth Laboratory, Unilever Plc, ENGLAND. 1990-1994: PhD, University of Dundee (Biochemistry), SCOTLAND. 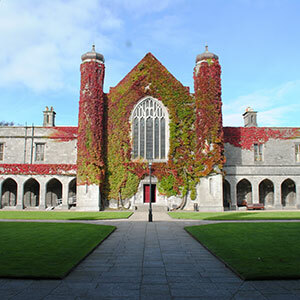 1986-1990: BSc, Microbiology, University College Cork, IRELAND . 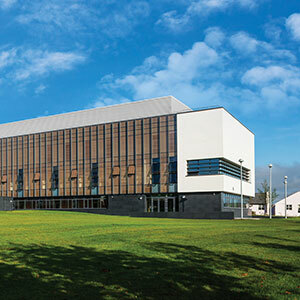 The Bacterial Stress Response Group (www.nuigalway.ie/microbiology/cpoblab/) was established in 2000 in the University of Aberdeen and then relocated to NUI Galway in 2002. Since the group’s inception 9 PhD students, 8 MSc students and over 60 final year project students have successfully completed their degrees under my supervision. The group has attracted significant research income totalling more than 5 million euro, from a diverse range of sources including the NIH, food industry, the EU and SFI. The research from the group has been published extensively in highly-ranked international journals and presented at national and international symposia, with over 100 scientific communications in total. Research activity within the group centres on an interest in the mechanisms that food-borne bacterial pathogens use to respond and adapt to environmental perturbations. Research projects have focussed on important bacterial pathogens including Salmonella Typhimurium, Escherichia coli and Listeria monocytogenes, all of which cause significant food-borne infections in humans. This research is essential to develop a more complete understanding of how bacterial cells grow and persist in the environment. An understanding of how these pathogens adapt to their environment will also be central to any strategy aimed at curbing their growth both within the host and within the food-chain. Currently the Bacterial Stress Response Group consists of 5 postgraduate students (all registered for PhD degrees). Several projects focus on understanding the molecular responses to stress in the human pathogen Listeria monocytogenes, including its responses to oxygen depletion, acidic conditions, increased osmolarity, and light. Another research avenue within the group at present is the identification of novel host association factors expressed within the gastrointestinal microbiota. 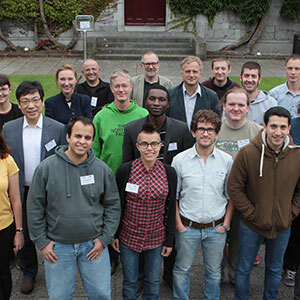 The group has a strong network of collaborators within Europe (University of Brigthon; University of St Andrews; University of Aberdeen; INRA, Dijon; Pasteur Institute, Paris; Technische Universitat Munchen, Germany; University of Milan; University of Turku, Finland), the US (Cornell; Harvard; and the University of North Carolina Charlotte) and Ireland (UCC; TCD; UCD). 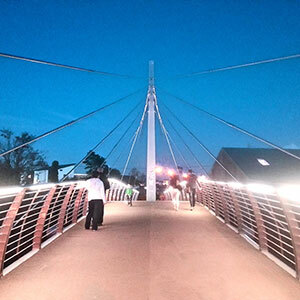 These collaborations have helped to secure research funding, they have supported student exchanges, exchange of research materials and expertise, and they have supported numerous joint publications. (2008) The Role of Sigma B (sigma(B)) in the Stress Adaptations of Listeria monocytogenes: Overlaps Between Stress Adaptation and Virulence. (2007) Coping with stress: the role of sigma B in modulating gene expression in the human pathogen Listeria monocytogenes. 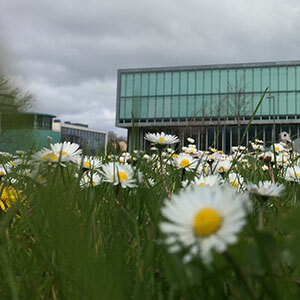 University College Dublin, School of Biomolecular and Biomedical Science. (2005) Escherichia coli as a model system for understanding heart disease in humans?. University of Edinburgh, Institute of Cell and Molecular Biology. (2004) Understanding the basis for homocysteine toxicity in Escherichia coli. 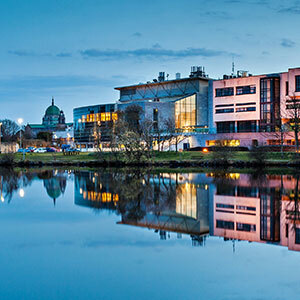 University College Cork, Department of Microbiology. (2002) Acetate stress in Escherichia coli: A problem with methionine biosynthesis and homocysteine toxicity. Microbial Stress Response Conference. (2002) Exploring links between weak acid stress in Escherichia coli and heart disease in humans. Moyne Institute for Preventative Medicine, Trinity College Dublin. (2002) From heart disease in humans to weak acid stress in E. Coli. 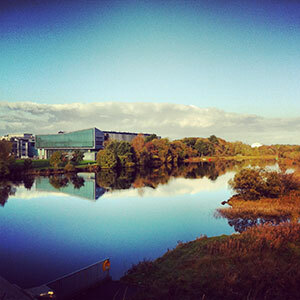 NUI Galway, Department of Microbiology.